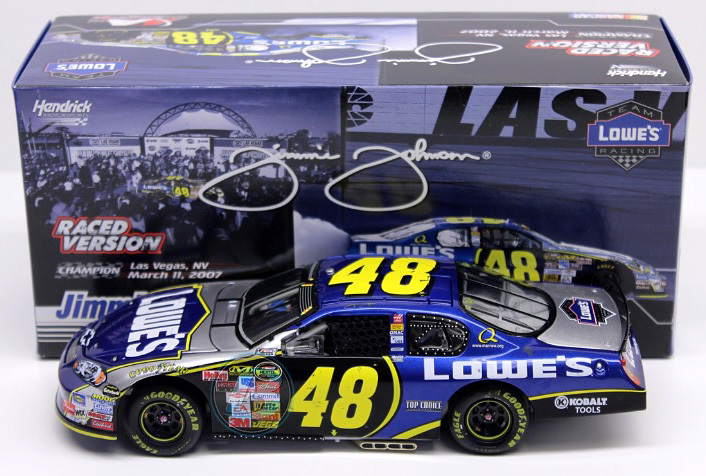 2007 Jimmie Johnson #48 Lowe's / Las Vegas Win / Raced Version / Chevrolet Monte Carlo SS diecast, by Action. Jimmie Johnson raced this Hendrick Motorsports #48 Lowe's Chevrolet to victory in the NASCAR NEXTEL Cup, UAW-DaimlerChrysler 400 at Las Vegas Motor Speedway on March 11, 2007. 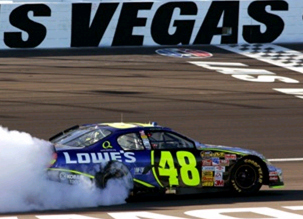 This was Johnson's 3rd consecutive win at Las Vegas and Hendrick Motorsports 150th NASCAR Victory.